they like and trust and they are very often inspired to buy by people they identify with. In B2B circles, it stands to reason that a businessperson is more likely to listen to a recommendation from a similarly placed businessperson about a product or service than the pitch of a sales professional?—?no matter how well positioned. When we buy products or services, we do so in the hope that they will solve a particular problem. Only someone who has walked a mile in your shoes is ever really likely to understand the difficulties you face and how a particular product or service can solve them. Note: There’s no difference in B2C marketing. The problems might be a little different?—?but at the end of the day, people look to people they admire or aspire to be like when making their buying decisions. This goes some way to explaining the importance of today’s social media influencers and why so many brands desperately seek their approval. They don’t ask for them and if you don’t ask you don’t get. They do ask for them but expect their clients to produce them for them. While many of your clients would love to help you, they are busy people and just don’t have the time to doing your job for you. Note: As a marketer, it is your job to write any copy that your business wishes to utilize as part of a marketing campaign. I’m constantly amazed at how many “marketers,” in what should be a creative industry, tell me they haven’t got the skills or basic desire to do this. So how do I go about creating testimonials and case studies? Here’s a simple 10 step process. I work with account managers and salespeople to identify the hottest prospects for a testimonial or case study. They tell me how the client has used a particular product or service and how it has delivered them success. The account manager or salesperson than contacts them with an email telling them that I would love to speak with them about their success for a possible case study. I then send an email introducing myself and invite them to join a call at a specific time (asking for alternative times if the initial time isn’t suitable). I explain why I want to speak to them (to write about their experience) and send them over a few sample questions. I then send them a link for them to join an online meeting?—?I use a software service called Zoom.us. This allows me to record the conversation, so I don’t have to rely on hastily scribbled notes. After you have completed the call, listen back to your recording and transcribe your notes into text format. I prefer to do this myself?—?as it enables me to listen back on the conversation?—?but if time is short, you could find a freelancer on a service like Fiverr to do it for you quite cheaply. Once you have the transcript, the copy will almost write itself. Don’t worry about moving things around and tidying up quotes. Your clients will expect you to do this (people want to look and sound knowledgeable and eloquent) and you should have set expectations during the call. Email the draft text to the client and ask if they would like you to make any changes. In my experience, edits rarely exceed one or two sentences. It really couldn’t be any simpler. The whole process shouldn’t take more than a few days to complete (on average, it takes me around 8 hours) and the end results can be used across multiple marketing channels?—?think email, your corporate blog, social media, any printed materials, etc. etc. If the audio recording of your meeting with your client is suitable, why not edit it into a podcast? You may even be able to use the video if you connected via webcams. Marketing Strategist, Author of #BecomingTHEExpert, Content Marketing Trainer, and Cyclist. under 50% of millennials were interested in using cryptocurrencies as a primary form of payment as opposed to using the U.S. dollar. Bitcoin adoption has been growing year on year and here is commentary from a number of spokespeople on the topic of mainstream awareness and acceptance of the crypto and blockchain industry. The commentary comes from those who have already launched blockchain education initiatives or are directly involved in the academic space, including Lisk; Orvium; the Social Alpha Foundation; Brave New Coin and the Gibraltar Blockchain Exchange (GBX). Overall, the results from the YouGov poll provide a positive indicator for the future of cryptocurrency. The fact that 48% of millennials would be interested in using a digital currency is a sign of things to come. This is important because, ultimately, the future of the global economy lies with the millennials, not the baby-boomers. This survey clearly indicates cryptocurrencies are the future! Mass adoption of cryptocurrency is the next logical step for modern societies, they exemplify the next step for the payment layer of the internet. As a peer-to-peer way of transferring value, the functionality of cryptocurrency is attractive to a person who grew up in a digital age with a tablet to hand at all times, this goes some way to explaining why 48% of millennials would be interested in using it. A striking advantage of cryptocurrencies is that they negate the need for the involvement of third-party actors or central authorities in the transaction process. This reduces barriers to entry, transaction times, security concerns and even privacy issues – all factors which will invariably lead to increasingly widespread adoption. The stand out feature of this YouGov survey is the heightened awareness and openness to cryptocurrencies by millennials – acceptance by this core demographic is key to ensuring global adoption in the future. The survey shows us that the global leaders of tomorrow are aware and open to cryptocurrency but, saying that, there may still be some way to go in improving understanding of the real future utility of the underlying technology. YouGov’s survey findings are a reflection of a number of trends among 20-40 year old adults. Mainly of the high barriers to entry to both capital markets that produce returns and the public institutions controlling their legal tender. Together with the lack of trust in traditional financial institutions, the importance of an apolitical, borderless, and censorship resistance form of cash is becoming increasingly clear to a mostly global generation. This applies not only to urban dwellers but also to rural-based millennials who traditionally have lacked access to competitive banking services. The survey findings from YouGov are reflective of current trends among millennials within the blockchain and crypto space. The report touches on the issue of mainstream awareness, with 79% of Americans saying they are familiar with at least one kind of cryptocurrency. Broader reputational issues in the industry are also raised in the survey, with a quarter of respondents stating that they think cryptocurrencies are used more for illegal purchases rather than legal ones. This statistic is not surprising, and while cryptocurrencies continue to defy the odds, blockchain adoption remains a challenge. For this to change in the future, we must demonstrate the functions of the technology to the public through major application or adoption. This e-book on Amazon explains what Bitcoin is, it explains that Bitcoin (BTC) is a virtual currency, digital, not physical, and independent of banks. Useful links and resources for the newbie and advanced Bitcoiner or cryptocurrency enthusiast. more than 15% of crypto projects raising funds through initial coin offerings (ICOs) have serious red flags that should give investors pause. The investigation, which analyzed the whitepapers of 3,300 cryptocurrency offerings and ICOs launched in 2017 and 2018, found that 513 of them likely committed plagiarism, misrepresented the identities of project founders, or promised unrealistic returns. The Wall Street Journal examined the white papers of all 3,300 projects which it found listed on ICOBench.com, Tokendata.io, and ICORating.com. To identify plagiarism, the reporters compared sentences in all the reports to find duplication, with reporters identifying over 10,000 sentences that appeared more than once. The papers were also searched to identify offerings where no team members were provided, and the publication reverse image searched photos to identify fake team listings. Lacking or fraudulent team, founder, or sponsor details have long been a red flag for illicit crypto projects and should be one of the first details an investor scrutinizes for accuracy. To find “improbable” promises of returns the whitepapers were keyword searched for critical marketing terms like “high return” and then analyzed manually before reporters decided they were an unrealistic “can’t miss” opportunity. Of the 513, over 30 are already under scrutiny by regulators, and over half of the project websites are unavailable. Each of the over 250 unavailable websites was pinged electronically and also checked manually. Reporters reached out to all 513 flagged offerings for comment on the findings. Very few could be reached or chose to respond. Tron (TRX), the 10th-largest cryptocurrency by market cap, received a red flag for possibly plagiarizing portions of its whitepaper, as CCN previously reported. | Source: Wall Street Journal The Wall Street Journal results are hardly surprising given other recent reports on the ICO market and the intense regulatory scrutiny, and increasing measures, against offerings. It’s true that many ICOs have failed, many companies took advantage of a new funding model to launch less than credible projects and, many other projects have been judged scams. Forrester Research recently found that most ICOs have struggled to produce viable projects or adequately prepare for a cryptocurrency bear market. The US Securities and Exchange Commission (SEC) has been conducting an ever-increasing program of clampdowns on ICOs. In May, US and Canadian regulators launched “Operation Crypto Sweep” after concluding that fraud was widespread. More recently the SEC has called for international support in continuing its enforcement as many ICO sponsors are located outside of the US but offer investment opportunities within the country. The global nature of cryptocurrencies is causing a similar problem in other regions. For the SEC, other recent measures including hitting celebrities who promoted ICO scams with fines and other enforcement actions. That said, there are many very real projects to have been funded through an ICO mechanism, take the SIRIN Labs Finney and Brave Browser — both of which have produced working products — as examples. On the flip side, fraudsters take advantage of all trendy investment classes, not just cryptocurrency. SEC chairman Jay Clayton has received criticism in recent weeks that his harsh approach is restricting innovation. There is hope that balance can be found in 2019, that credible projects will continue to innovate, and that the growing scrutiny on fraudulent offerings will begin to deter them. With increased attention from regulators, crypto startups are already moving away from ICOs, seeking funding instead via more traditional routes of private and venture capital funding. Others are looking to a new model, the security token offering (STO), seeking to bring themselves into compliance rather than eschew it. a question that constantly hovers around the entire founding team is what will make the company successful. While one can sit, think and speculate all sorts of reasons like motivation, perseverance, emotional intelligence, intellectual property and what not. The challenge is to find the one that works for the company. Data talks, so here based on an analysis published last year by a venture capital firm First Round Capital, we have listed some of the factors that weigh out most of the speculated ones. Believe it or not, the importance of having a female co-founder is far more than you might have imagined. The research suggests that companies with at least one female co founder performed 63% better than those having an all male co founding team. Re-emphasizing the importance of female entrepreneurship again, its high time startups bring some gender diversity to the teams. A young founding team has its own perks. While you might get shooed away by a lot of investors on the basis of your inexperience and the so called immaturity which the investors swear upon, gets filled with age, the research suggests otherwise. Founding teams with an average age of under 25 performed nearly 30% above average. Although the average age of a founder raising capital was 31.5. This suggests that a founding team should have age diversity as well. This balances your chances of getting funded and succeed as a company. In the startup world, we frequently talk about outliers like Facebook, Apple and Uber who made it big, defying all odds. One thing common in all of them is not only that the founders are college dropouts, it is also the kind of colleges they once went to. The research supports this fact as well. Teams with at least one founder who went to a top school (Ivy League, Stanford, MIT and Caltech) tend to perform the best by a whopping margin of 220%. So even if you decide to drop out and start your own thing, pay attention to the place you are dropping out from. Having a former employee of a top notch company like Amazon, Apple, Facebook, Google, Microsoft or Twitter (the ones included in the research) as a cofounder increases the success rate by as much as 160%. Interestingly founders with past experiences at any of these companies also landed pre money valuations nearly 50% lager than their peers. The kind of foundational skills these jobs provide clearly makes a difference. Investors pay more for repeat founders. The pre money valuations of the repeat founders tends to be higher than the first timers. This is because of the fact that repeat founders are priced higher in the market. So having a cofounder with a past startup experience gives you the scope for better valuations. Being a solo founder is the worst thing you can do to your startup. Teams with more than one founder outperformed solo founders by a humongous 163%. Also solo founders led Startups’ seed valuations were 25% lesser than teams with more than one founder. The data suggests the optimal number of cofounders to be two. On Thursday (20 December 2018), technology news outlet The Verge reported that ConsenSys, an Ethereum-focused blockchain incubator ("venture studio") and solution provider, was planning to spin off most off of its 50+ startups ("spokes"), and that this could mean up to 60% of the company's staff could be laid off. ConsenSys, which was founded in 2015 by Ethereum co-founder Joseph Lubin, currently has "over 1100 employees distributed globally in every continent except Antarctica." 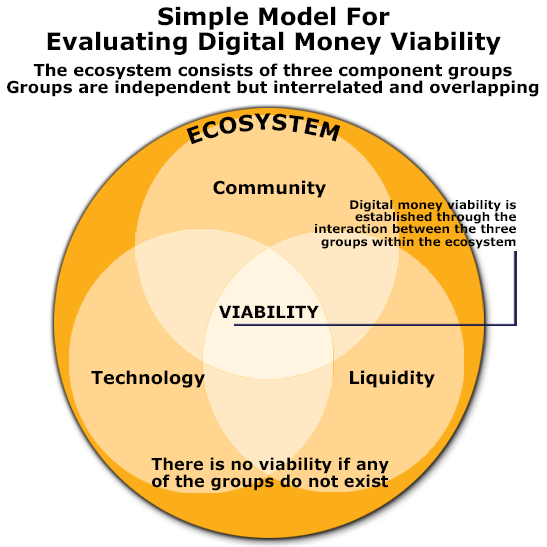 It primarily sees itself as "a venture production studio focused on building and scaling tools, disruptive startups, and enterprise software products powered by decentralized technology, specifically Ethereum," and describes its mission as using "these solutions to power the emerging economic, social, and political operating systems of the planet." ConsenSys refers to incubator (or venture studio) part of its business as ConsenSys Labs, and says that this "incubates the best teams of Web3 across the globe, providing them capital, mentorship, and access to ConsenSys’s network of top-tier projects and talent." A few examples of the over 50 projects currently being incubated by ConnsenSys Labs are AirSwap, Civil, Gnosis, Infura, and MetaMask. "A term sheet reviewed by The Verge and given to at least two incubated startups within the company showed that ConsenSys is beginning to spin out its large portfolio of blockchain projects, often without the financial support they’d need to find outside funding and succeed. When reached for comment, a representative for ConsenSys did not deny that layoffs were impending, and only said that the company is speaking with every spoke and project to 'determine a path forward, whether that will be internally as a part of ConsenSys 2.0, or as an external entity.' The vast majority of people working at spokes are ConsenSys employees, and many spokes don’t yet have a revenue-viable product." “Excited as we are about ConsenSys 2.0, our first step in this direction has been a difficult one: we are streamlining several parts of the business including ConsenSys Solutions, spokes, and hub services, leading to a 13% reduction of mesh members… Projects will continue to be evaluated with rigor, as the cornerstone of ConsenSys 2.0 is technical excellence, coupled with innovative blockchain business models." “Certainly one goal is to enable ConsenSys and its projects to not be dependent on the price of these value tokens, that essentially they are all thriving businesses in their own right." One source told The Verge that ConsenSys is "using the 13 percent announcement I would imagine to give comfort to potential investors about the small-scale downsizing." Siamak received his PhD in Computer Science from University of London in 1992. He has worked as a research scientist, technical author, software developer, and journalist. Since 2014, he has been researching cryptocurrencies and other applications of blockchain technology. the advantages of the blockchain. SHELL, Wyo. – July 22, 2018 – PRLog — It is now clearly evident, in today's economic culture, long term employment is a thing of the past. Bureau of Labor Statistics reports in 2016 many workers now work for 4 years or less. Reid Hoffman founder of LinkedIn is quoted saying, "All human beings are entrepreneurs. "Universal Income has become the new focus of the elites, like Elon Musk told the crowd at the World Government Summit in Dubai, "I think we'll end up doing universal basic income" and "Universal Income's going to be necessary." The downside of that projection is that millions of people would wind up out of a job — a possibility Musk discussed at the summit. "There will be fewer and fewer jobs that a robot cannot do better," he said. "I want to be clear. These are not things I wish will happen; these are things I think probably will happen." Thomas Prendergast, Founder and CEO of Markethive, stated, "In the pursuit of supporting entrepreneurs and the importance to understand today current growth and trends, especially the new paradigm of crypto currency, we have made the decision to use the power of Markethive to deliver a universal income for the entrepreneur. From our innovative infinity airdrops, delivering valuable MH coins, to building a superior advanced social networked inbound marketing platform that pays the subscriber for every action taken. This paradigm develops a sustainable income while the entrepreneur uses the Markethive system to build their future dreams." Douglas Yates, Co Founder and CTO added, "Inspired from the Bitcoin faucets of days passed, Markethive has taken the faucet concept and applied it to incentivize entrepreneurs to engage in building their futures. Markethive is going to become the dream machine as it replaces the Facebook model of negative drama engagements." Markethive focuses on users first with intuitive automated instructional videos, that pay the subscriber to complete the assignments there of, that are not over complicated. They are bringing their decades of experience helping inexperienced users tackle extremely technical and complicated courses to the cryptocurrency world. Markethive's webinars do not require any kind of download, no registration, and come completely 100% encrypted so participants are safe with secure anonymity which not only protects attendee identities but also computers from potential unwanted activities. Chris Corey, Markethive's CMO, added, "Markethive is setting up live webinars focused on the entrepreneur for the foreseeable future such topics as 'making money on eBay', 'teaching people how to secure their wallets for Bitcoin', 'How to be compliant and secure against the government and Criminal exploitations', 'what is an ICO' and how to 'use Coin Exchanges securely and effectively', are among the Forefront of topics discussed in our live webinars." Markethive webinars are held 5-10 times a week and will continue with this schedule for the foreseeable future. Interested participants need to simply visit http://markethive.com for next available scheduled webinar event. announced today that it has officially entered the "Open Book Challenge" in which a group of angel investors are offering a significant investment fund to build an alternative to the Facebook system. Markethive's Market Network (an advanced social network) is an alternative to Facebook as well as LinkedIn. Markethive founders know privacy and collaboration are the keys to the future. The rise of the entrepreneur and the fall of destructive forces in our social platforms are here now. Markethive is creating a "Universal Income" for entrepreneurs. Using our state-of-the-art integrated inbound marketing platform, social network, artificial intelligence, business services, ewallet, coin exchange, mining datacenter, incubator and blockchain income platforms for success in the cryptopreneurial and entrepreneurial markets. "Markethive was built on the foundation of 20 years of proprietary technology and has been running live with 1000s of subscribers in beta for nearly 4 years," said Thomas Prendergast, Markethive's CEO. "Markethive's mission is to create a universal income for entrepreneurs, using our multiple platforms built for the entrepreneurial markets." Douglas Yates, CTO and co-founder, added, "When we became aware of the #deletefacebook campaign led by Elon Musk of Tesla, I knew Markethive is the solution." Markethive is the leading Market Network in the industry. Market networks are the logical evolution of the aging social networks. Market Networks like Markethive integrated SaaS and commerce platforms with the social network. Markethive also adds additional revenue-producing systems to fund the Universal Income for entrepreneur's aspects within the realm. About Markethive ( https://markethive.com ) Markethive is a Facebook-like system, that has integrated SaaS (Inbound Marketing Systems), a Facebook-similar social network, an Avatar-injected webinar system, a faucet-type rewards program with their own coin, a proprietary coin exchange and a commerce platform similar to freelancer. Running in BETA with 1000s of subscribers, Markethive is about to launch her first Airdrop to introduce the Market Network to the world. About Open Book Challenge ( https://www.openbookchallenge.com ); Angel investor Jason Calacanis will be making the investments and will syndicate these investments to JasonsSyndicate.com at the founder's discretion. Open Book Challenge is looking to fund seven purpose-driven teams that want to build a billion-user social network to replace Facebook — while protecting consumer privacy. OPC wants to invest in replacements that don't manipulate people and that protect our democracy from bad actors looking to spread misinformation. To learn more about Markethive, please visit our blog. its “Technology Predictions 2019,” in what might be music to the ears of disgruntled investors right now, it says we have “yet to see the best” of cryptocurrencies. Should another prediction be trusted? GP Bullhound says only one of its 2018 predictions, the decline of email in the workplace, was incorrect. Its prediction of a “boom and bust” of ICOs in 2018, sadly, seems to have rung true. ICOs are indeed at crisis point. The regulation of bitcoin and ether as “non-securities,” bitcoin considered a “replacement” for fiat currency, and Ethereum’s ether seen as a commodity offers security to the two coins. This will allow capital to flow into the sector both directly and increasingly through derivatives. Today, the market correction still appears to be in play, bitcoin could drop below $3,000 yet, but despite the decline, a recent report from the Cambridge Center for Alternative Finance says 54 million new cryptocurrency users joined the cryptocurrency sector in 2018.